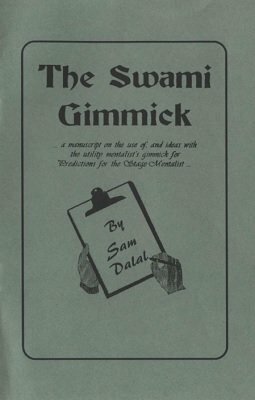 This booklet is included with every sale of a swami gimmick at Sam's Funtime shop. With this digital edition you will of course not receive any swami gimmicks. But you will receive all the information about how to use one, with routine ideas and other important information of how to practice and care for your gimmick. 1st edition 1990, 20 pages.